Then Joseph died, and all his brothers and all that generation. But the people of Israel were fruitful and increased greatly; they multiplied and grew exceedingly strong, so that the land was filled with them…  …they set taskmasters over them to afflict them with heavy burdens. They built for Pharaoh store cities, Pithom and Raamses. But the more they were oppressed, the more they multiplied and the more they spread abroad. And the Egyptians were in dread of the people of Israel…  “When you serve as midwife to the Hebrew women and see them on the birthstool, if it is a son, you shall kill him, but if it is a daughter, she shall live.”  But the midwives feared God and did not do as the king of Egypt commanded them, but let the male children live…  So God dealt well with the midwives. And the people multiplied and grew very strong. 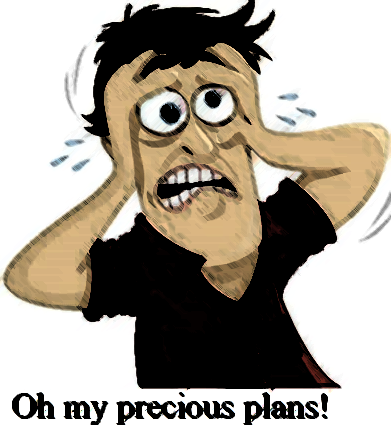 My plans are easily frustrated. If I plan something as simple as a nice outing to the park with my family, it can be ruined by an endless number of factors that are outside of my control. Bad weather, unexpected sickness, or moodiness (my kids’ or my own—ha ha) can prevent us from even getting to the park, let alone having a great time. But, while my plans may be easily frustrated, God’s plans are unstoppable. Joseph, the second in command in Egypt, dies, but the people continue to multiply and grow. The Egyptians actively seek to weaken the Hebrews through systematic oppression and slavery, but “the more they were oppressed, the more they multiplied.” The king of Egypt commands that all male babies be killed at birth, but God grants the midwives the fear of the Lord and the people continue to multiply and grow strong. The Lord is almighty; He has a purpose for His people, and no opposition, human or otherwise, can stop Him. In our day-to-day lives, our everchanging circumstances and the whims of people around us appear to be impossible to overcome. We aim to progress in various areas of life (relationally, financially, etc.) yet so often we feel as if we are behind and things are not going according to our plans. In response, we may “invite” God to bless our plans and empower us to accomplish them, but He invites us to something far better. Jesus invites us to give up our insignificant and easily stoppable plans and embrace His certain and unstoppable plans. May our time and energy be invested in the plans of our sovereign Lord in whom we have hope that will not fail us. Prayer: Father, thank You that You accomplish Your will. Forgive me that I hesitate to entrust my future to You. I imagine that my plans could be better than Yours. Help me to surrender my own plans that I might walk in Your will and receive all that You have for me. What prevents us from being steadfast in the work of the Lord? What allows us to continue in the work of the Lord? Is there labor in this world that is in vain? We can grow discouraged when we face opposition, see little fruit, or do not receive what we had hoped from our investment. It can seem as if our work for the Lord is in vain. We must know that our labor for the Lord is not in vain as Jesus is faithful to receive and use all that we give to Him. Yes, labor that is not done for the Lord. Even works that are impressive from a human perspective are ultimately in vain if they are not done for Jesus. Reflect upon your day. At any time, did God invite you to surrender your plans and embrace His? At any time, did God demonstrate His sovereign power to accomplish His purposes? Take a moment to thank the Father for His presence in your life and invite Him to accomplish His will in your life.